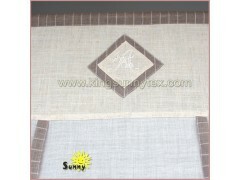 4.Good Quality:We have strict quality control system .Good reputation in the market. 5.Low MOQ: we can meet your promotional business and trail business very well. 7.Professional sales responsible for your workings. 1.Can I get a discount on my item? Yes, it is based on quantity you ordered. If your order is very large at one time, we will give you some discount. More order, more discount! 2.Do you have more pictures of this item? We updat our website everyday. If you want more photos, pls contact us freely. 3.Can I get a sample from you for reference? Of course, we are glad to send you sample for free. You may pay sample fee, if we don't have in stock. But it will be refund when bulk order. As usual, we accept T/T ( 30% deposit, balance against copy of B/L) and L/C at sight. We can discuss details in the future.